Guests staying in one of our holiday cottages are in an ideal position to explore Cornwall with its picturesque moors and rugged coastline. You can enjoy visiting country homes and gardens, ancient churches, steam railways and theme parks, not to mention exploring the South West Coast Path which runs for miles along coast, most of which is designated as an area of outstanding natural beauty. 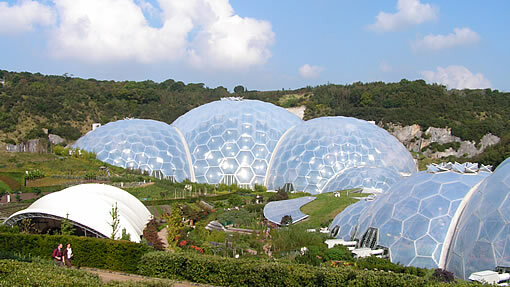 Trips to the world famous Eden Project or The Lost Gardens of Heligan are not to be missed. Our holiday cottages are only 10 minutes away from just about the best Cornwall has to offer for sailing, wind surfing, surfing and water skiing at Rock, Polzeath and Daymer Bay. A short drive will take you to numerous sandy beaches offering safe bathing, surfing and sailing. For all the family, beaches such as Rock, Port Isaac, Crackington Haven, Trebarwith Strand and Port Gaverne. A little further west, Polzeath, Trevone, Harlyn (pictured above) and Constantine are also perfect. These relaxing and less hectic beaches are all located on the North Cornwall Coast. This is arguably the most successful recreational multi use trail in the UK. The Camel Trail is a 19 mile route that follows the beautiful Camel River from Padstow, where it joins the sea in a wide estuary, to Poley&apos;s Bridge inland, where it is merely a stream running through woodland. Also suitable for cycling, with bike hire available at several locations nearby. This walk enables you to explore two idyllic harbour side villages and the lovely wooded countryside between them. Port Isaac has classic Cornish character by the boat load - clusters of tiny whitewashed cottages, narrow twisting lanes and the lovely scent of freshly-caught fish. 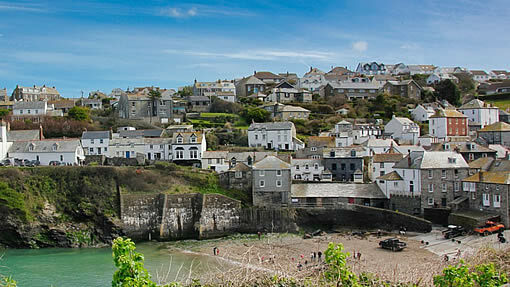 Port Isaac is also where the popular series Doc Martin is set. 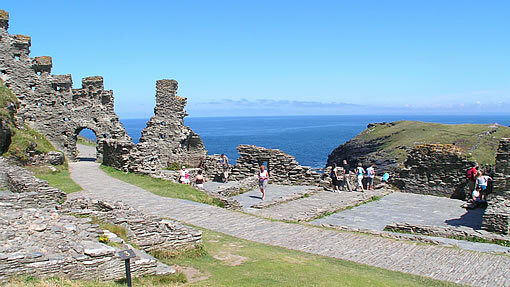 Take a peek at the castle ruins in Tintagel before setting out south along the coast path towards Boscastle. The views of the coastline throughout this walk are spectacular. Along the way you&apos;ll come across a ruined village and Bronze Age carvings. A passenger ferry runs from Rock (just a 8 minute drive from Tolraggott and Dinham Farms) to Padstow and is very popular with our guests. 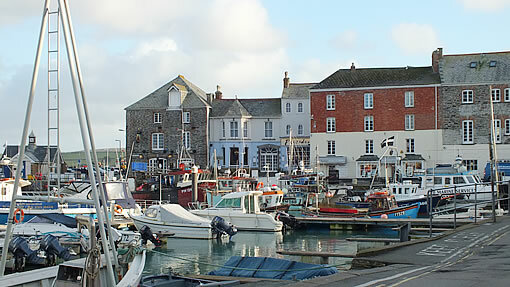 Traditionally a fishing port, Padstow is now a popular tourist destination on the north coast of Cornwall. 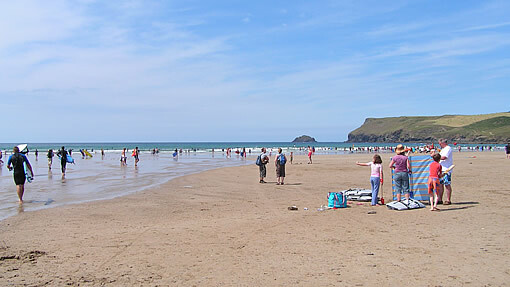 The town is situated on the west bank of the River Camel estuary approximately five miles northwest of Wadebridge. Here you can enjoy spectacular scenery, picturesque walks around the harbour and many shops and restaurants, which include the world famous Rick Steins Seafood Restaurant. Drive to Nanstallon, Bodmin and visit the award winning world class Camel Valley Wine. Great wine tastings and an excellent shop. Pencarrow House is a stately home with magnificent gardens - 50 acres including a sunken Italian garden, a lake and over 700 varieties of rhododendron. In summer plays are staged here. 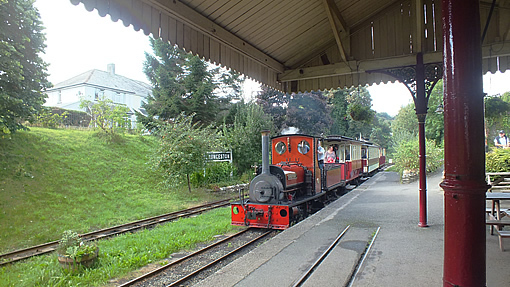 A favourite with families, the Launceston Steam Railway a narrow gauge steam railway running from the historic Cornish town of Launceston, through the glorious Kensey Valley, to the hamlet of Newmills. The remains of Tintagel Castle are at the heart of Arthurian legend. The location of the castle is spectacular - half a mile outside of Tintagel, across rugged clifftops, with no vehicular access. 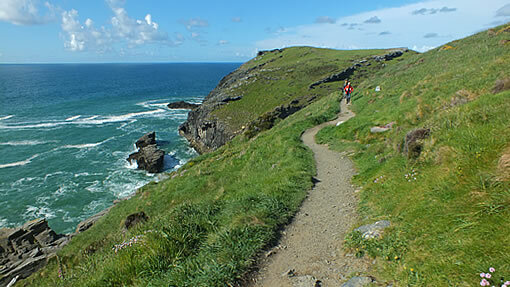 Tintagel Island, attached to the mainland by a sliver of land, enhances the wild and romantic atmosphere. From African lions to zebras, Newquay Zoo, Cornwall&apos;s award-winning zoo is home to over 300 animals. There&apos;s plenty to do, with daily feeding times and talks, a play area, maze, picnic spots, a cafe and, in summer, barbecues by the lake. 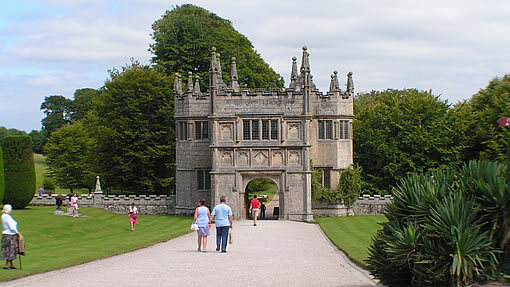 Another stunning Elizabethan house, Prideaux Place has formal gardens, a deer park and lovely woodland walks. Inside you will find all kinds of historic artefacts, from art and furniture to an extensive porcelain collection. One and a half acres of formal Japanese-style gardens; complete with a Zen garden, a bamboo grove, a water garden with bridges, waterfalls, islands and Koi Carp, and a symbolic tea house.